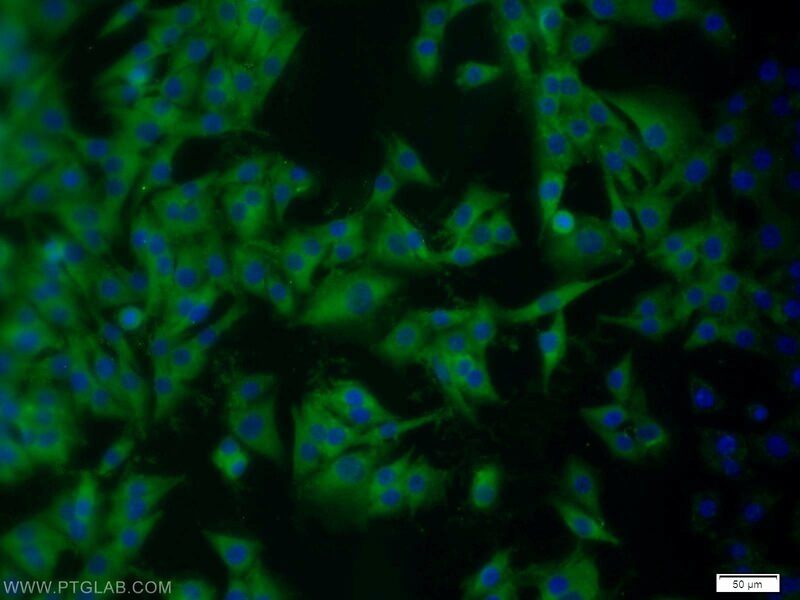 IP Result of anti-ARPP-19 (IP:11678-1-AP, 3ug; Detection:11678-1-AP 1:500) with mouse brain tissue lysate 5200ug. ARPP-19, a 19-kDa cAMP-regulated phosphoprotein, plays a role in regulating mitosis. Initiation and maintenance of mitosis require the activation of protein kinase cyclin B–Cdc2 and the inhibition of protein phosphatase 2A (PP2A). When phosphorylated by protein kinase Greatwall (Gwl), ARPP-19 associate with and inhibit PP2A, thus promoting mitotic entry. ARPP-19 may be an important link between nerve growth factor (NGF) signaling and post-transcriptional control of neuronal gene expression such as GAP-43. 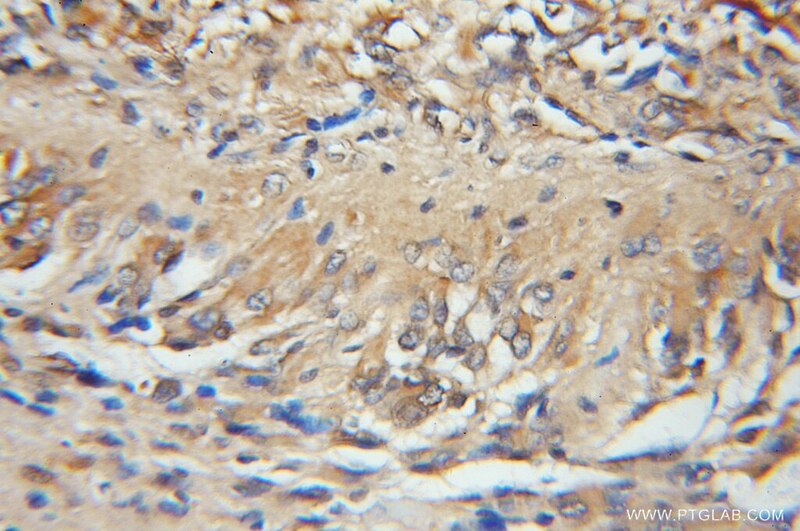 Increased ARPP-19 expression is associated with hepatocellular carcinoma.